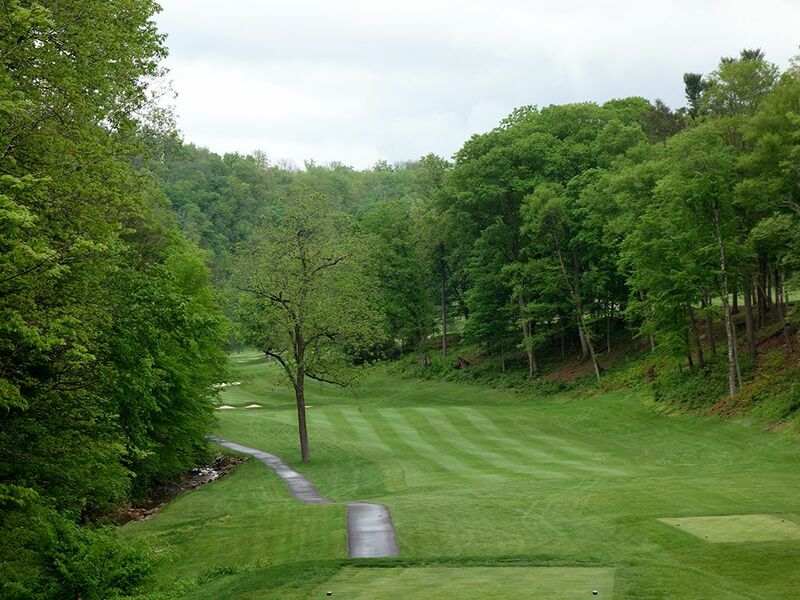 Course Website: Official Website - Visit Cascades Golf Course at Omni Homestead Resort's official website by clicking on the link provided. 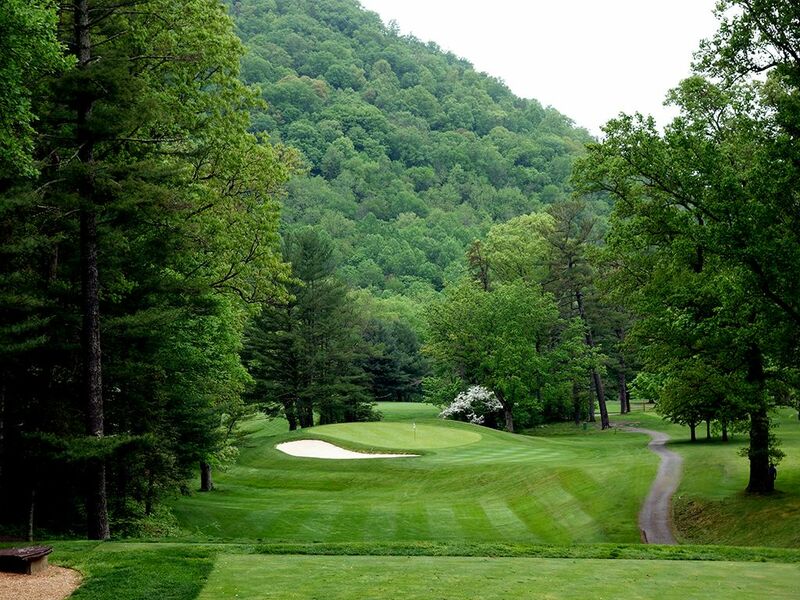 Accolades: Ranked 5th in Virginia on Golf Course Gurus' Best in State list. 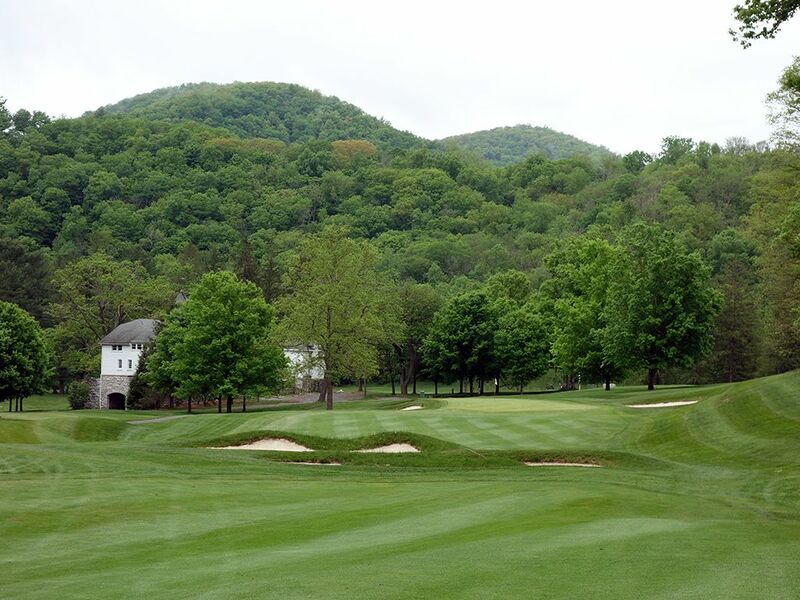 What to Expect: An American classic, the Cascades course at Omni Homestead Resort is located in the Allegheny Mountains and offers a golden age architecture experience that is a bit unique to others from the 1920s. Notably, the front nine has some significant elevation changes that create dramatic holes including a severe drop down to the 4th green. While the front is good, the back is significantly better and features one great hole after another. The turf conditions (bluegrass fairways and bentgrass greens) feel very mature and soft compared to the newer courses that have a firmer sand base and the rough is thick enough to cause you some trouble. These softer conditions are preferable for a course of modest length as it helps puts some teeth in the challenge, although the hole designs are good enough that Cascades doesn't need length to offer a great course and test. The clubhouse and facilities have an old school vibe with Sam Snead memorabilia being found at every turn due to his roots in the area. 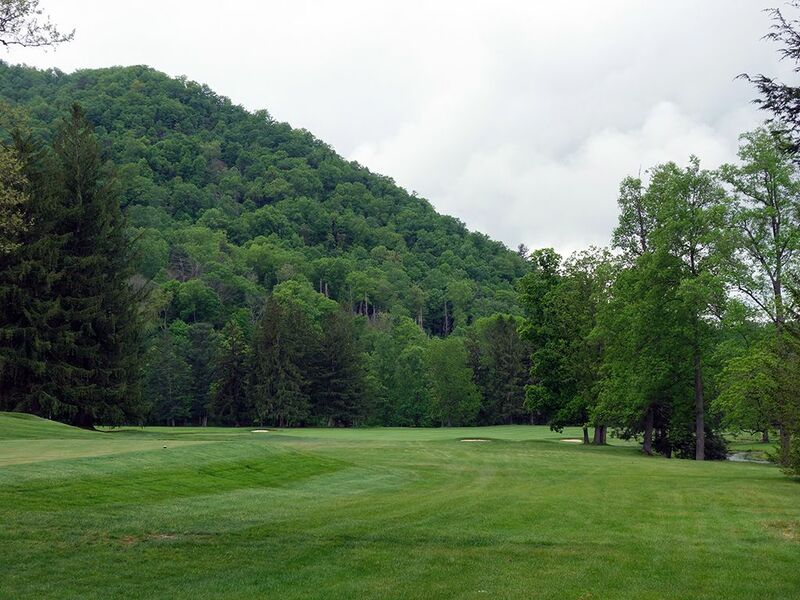 Players will enjoy the routing that features short walks from the green to the following tee although a fair number of the holes run the same direction due to the constraints between the mountains until the final grouping of holes that opens up the directions of play. The course closes on a par three and in fact enjoys a unique par 3-5-5-3 finish which is a rare encounter indeed. Ultimately, you are going to be happy with your round at Cascades. 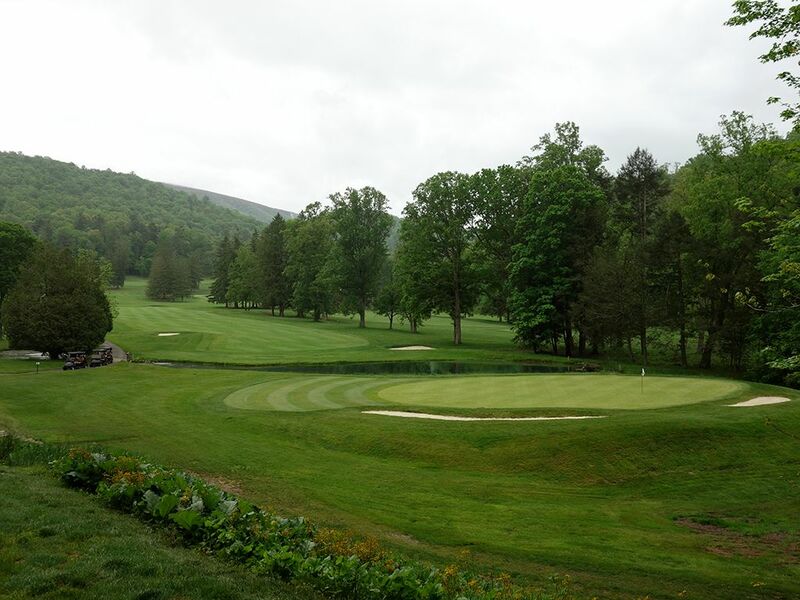 It is a good classic course in an attractive setting with great hole designs that can be tough but fair. 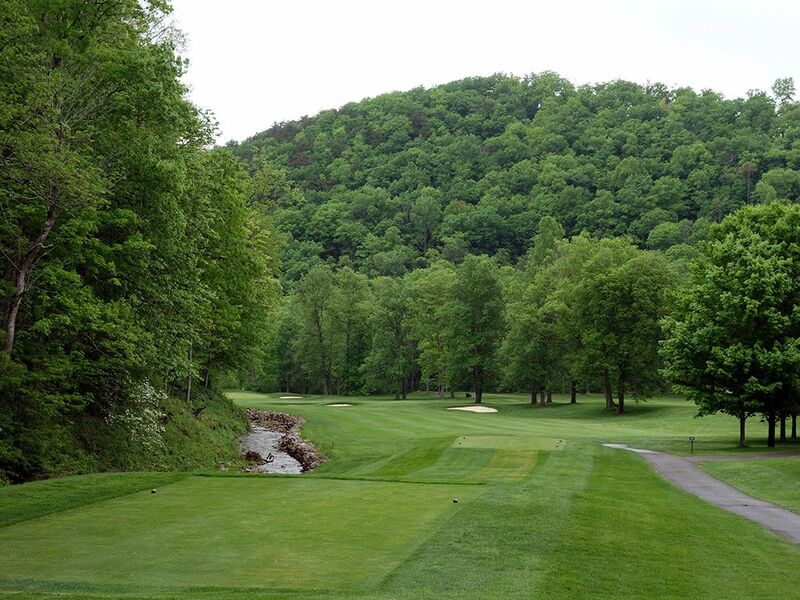 Signature Hole: 4th Hole – 210 Yard Par 3 – The dramatic downhill 4th is almost an anomaly at a course as old as Cascades. Standing on the tee I had visions of mules struggling with climbing the hill and dragging earth shaping devices behind them trying to transition the ground from the 3rd green up to the 4th tee. In a golf cart most players won't think twice about it as they easily traverse up the hillside, but carrying your own bag will give you a taste of yesteryear which is rewarding with the most awe inspiring view on the course. 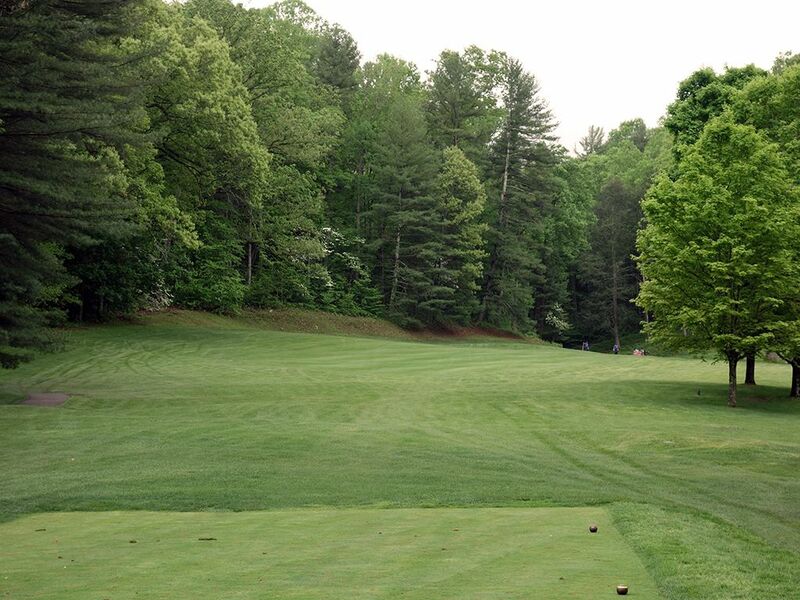 Trees shape each side of the fairway and lead players 50 feet downhill to a green flanked on the left by a bunker. The impressive view and loads of hang time make this a hole you won't soon forget. 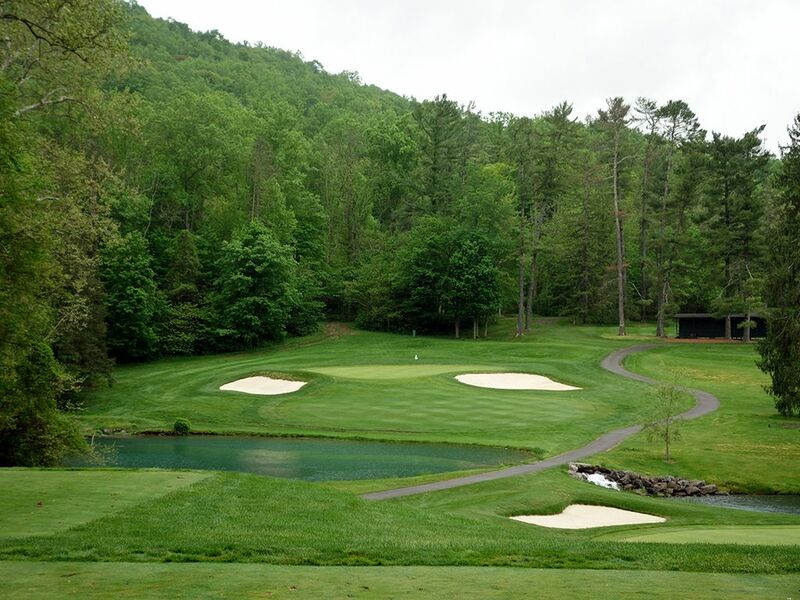 Best Par 3: 18th Hole – 203 Yards – On a short list of high quality golf courses that end with a par three, the 18th hole at Cascades provides a scenic and testing finish. Players must carry a pond enroute to the green that is flanked on each side by bunkers, but the stiffer test may be navigating the back-to-front sloping putting surface that will test your nerves with a big putt on the line. Some players not not like finishing on a par three, but this quality one-shotter is a fitting finish to this famed track. Best Par 4: 13th Hole – 440 Yards – The most demanding tee shot of the day presents itself on the dogleg left 13th. A creek meanders up the left side of the fairway while a bunker rests 280 yards out on the right which lends players to the idea of laying up short of the trouble or taking their chances hitting a power draw around the corner that threads the trouble. A series of four bunkers begins 100 yards from the green and advances up the left side of the green to create an artful and challenging scene. The green is nestled in at the base of two large hills which provides a fantastic backdrop and setting for your approach shot. Best Par 5: 16th Hole – 522 Yards – A classic risk/reward hole, the 16th is a dogleg right that features three bunkers on the inside corner and a sole bunker on the outside of the dogleg. Upon successfully navigating your tee shot to safety you'll be faced with a choice of whether to go for the green in two or lay up. The green is fronted by a pond so any miscue is distance control can quickly create a watery grave for your Pro V1, so you better be dialed in when you pull the trigger. Going long will likely place you in the sand with a bunker shot back to the green with the water lying in wait for a ball to be bladed into it. This short par five gives you a chance to score, but can get away from you just as quickly. Birdie Time: 3rd Hole – 289 Yard Par 4 – With less than 300 yards to cover to reach the green, the 3rd hole is an early gift from William Flynn to throw a three on your card. The fairway bend a bit to the right before the green gets tucked back into the left at the base of a hill is a beautiful location. While driving the green is possible, it would take an amazingly shaped shot with a soft landing to do so. Most mortals can card a birdie by simply hitting a 200 yard club off the tee and taking their scoring wedge to knock their approach tight. 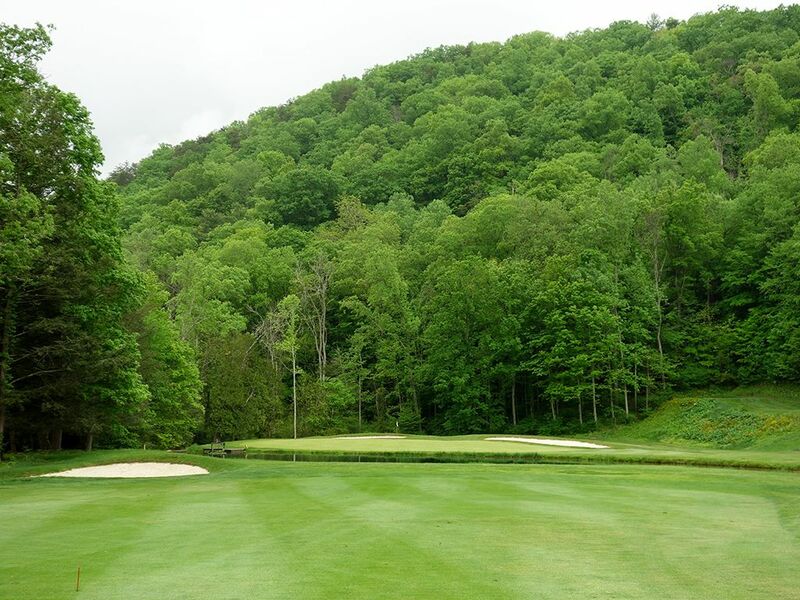 Bogey Beware: 12th Hole – 476 Yard Par 4 – With a stream bordering the left side and a hill covered in dense foliage on the right, the 12th leaves little room for error as you bust your drive on this lengthy par four. To bring additional trouble into play, a series of cross bunkers encompasses the fairway 100 yards from the green and ready to gobble up miscued shots. A trio of bunkers protect the putting surface and cause extra grief on shots that stray from the flag on the approach. The back nine at Cascades is very, very good and this quality two-shotter is one of the reasons why.